Vivo just launched V15 Pro, the company’s latest smartphone in the V series in India, as it had promised. It has a 6.39-inch Full HD+ Super AMOLED display without a notch with 2.2mm top and 1.75mm side bezels offering 91.64% screen-to-body ratio, features 32-megapixel pop-up front camera and the company says that the proximity and ambient light sensors are hidden under the display. Vivo says that the pop-up camera has 0.46 second elevating speed and the mechanism has been tested over 3lakh times. It is powered by Snapdragon 675 AIE with 6GB of RAM, Dual Turbo gaming mode, eSports mode for online gaming and runs Android 9.0 (Pie) with Funtouch OS 9. It has triple rear cameras with a 48 million quad pixel sensor that offers 12-megapixel output promising better images event in dark, features a 5-megapixel depth sensor for portraits and an 8-megapixel camera with 120-degree wide-angle lens. The camera has AI Super Night Mode. 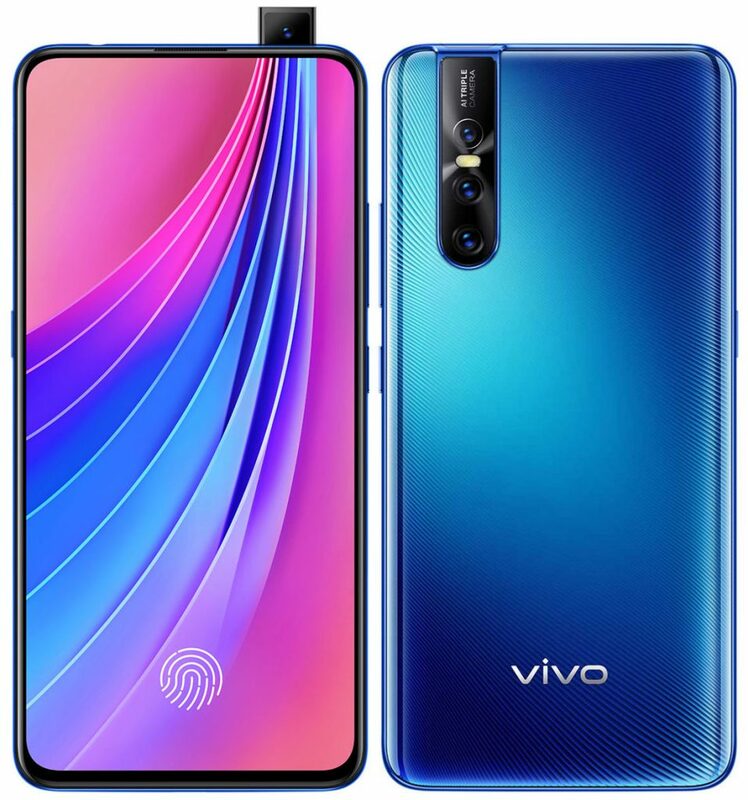 It comes with in-display fingerprint sensor that promises 0.37-second unlocking as well as face unlock that can unlock in 0.55 seconds by scanning 1024 facial points. It packs a 3700mAh battery with support for Dual-Engine fast charging, but it has a micro USB port. 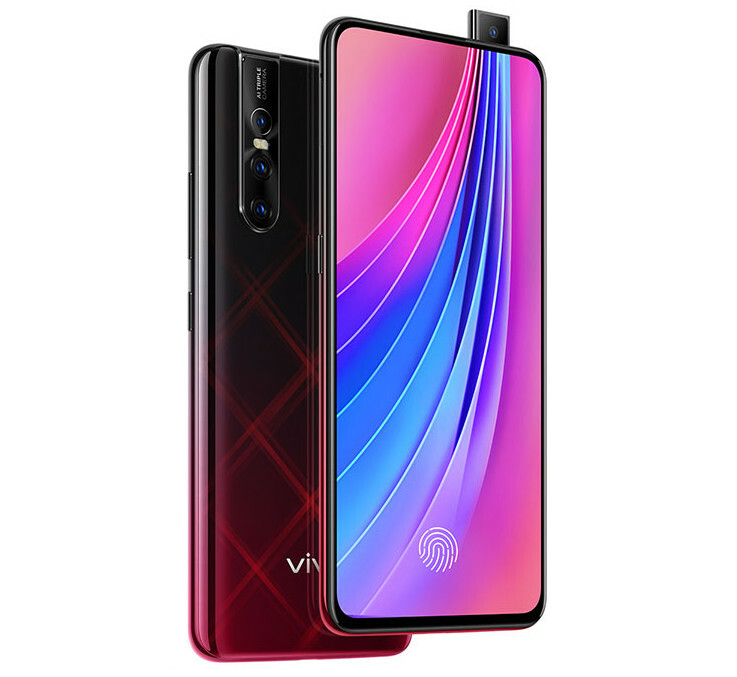 The Vivo V15 Pro comes in Topaz Blue and Ruby Red colors, is priced at Rs. 28,990 and will be available from Amazon.in, Flipkart and other online and offline stores from March 8th with pre-orders starting from today, February 20th. Innovation is one of our core values. Besides the industry’s first Elevating Front Camera that gave us the ultimate bezel-less display, we are always looking to introduce game-changing features, such as higher-quality cameras and smarter AI services that take the mobile experience to a new dimension. The V15 Pro is a clear example of our commitment to bring immersive advanced products to consumers from all walks of life. With the right technology and proposition, we are confident that V15 Pro will see success in India, the first market to launch the smartphone globally.